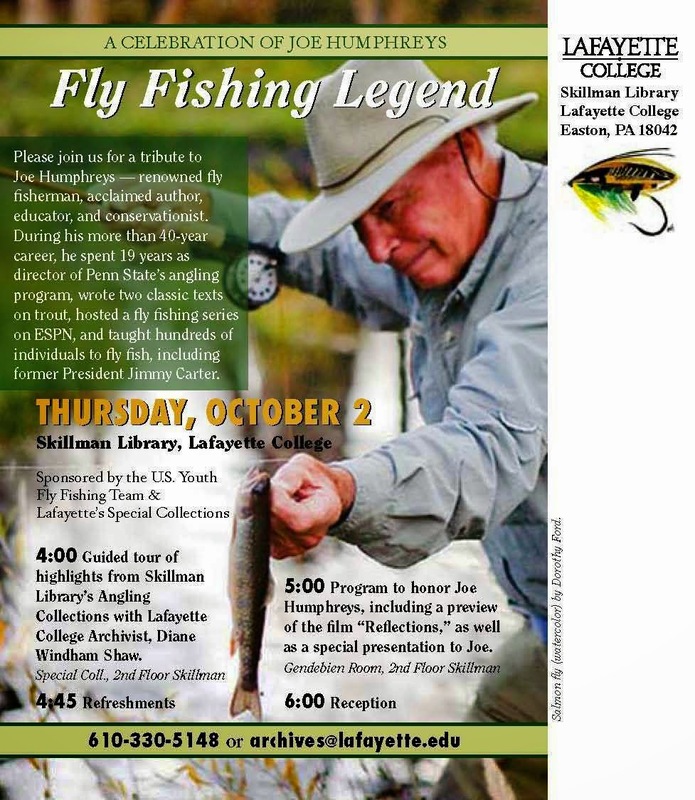 On Thursday October 2, 2014, Lafayette College in Easton, PA, will be celebrating the life of a true fly fishing legend, Joe Humphreys, at their Skillman Library. I've been fortunate enough to spend time with Joe over the years, mostly at fly fishing shows, and talk about fly fishing, fly casting, life, and best of all, enjoy his great sense of humor. So on October 2, come by the Skillman Library on the Lafayette College campus to join some great folks (I know this for a fact) in this tribute to a very special man. I'll be there, Douglas will be, too, and I hope to see some of you there as well. The program starts at 4:00pm. I was inspired by Joe's book "Trout tactics" way back when I was a schoolboy here in South Africa around 1984: His influence has been far and wide!